Shirley Metoyer-Delphin and Janet Ravare-Colson greets arrivals. 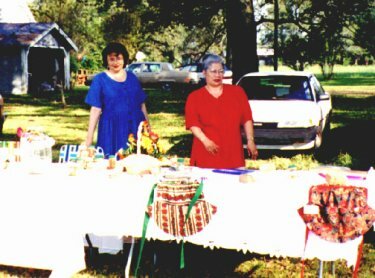 Souvenir items for sale included various displays of "Creole Gold", red cayenne pepper and "Creole Silver", gumbo file'. 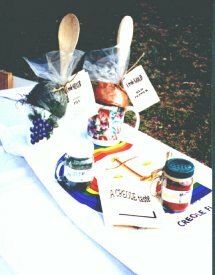 These items are locally grown and milled. 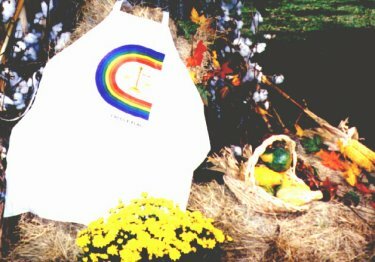 Also available were aprons with the Creole Flag emblem.